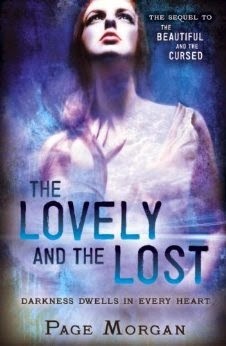 THE LOVELY & THE LOST pre-order giveaway is LIVE! Win a Kindle Paperwhite! Pre-ordering a book is one of the best things a reader can do to help launch a new book. By placing a pre-order, you're not only letting the author know you're excited for their book to release, you're also telling the author's publisher, editors, sales and marketing teams, etc. that you're excited. That can often mean a stronger marketing push for the book, more buzz, and best of all, strong sales numbers on that exciting first week of release. To help launch THE LOVELY AND THE LOST, the second book in my Dispossessed series, I'm hosting a giveaway with multiple prizes, including signed hardcover and paperbacks of THE BEAUTIFUL AND THE CURSED, Dispossessed series swag for every pre-order entrant, and a grand prize of a Kindle Paperwhite e-reader! To find out more and enter the giveaway, the pre-order page and contact form is live on my website! It doesn't matter if you pre-order online or through a local Indie store, all pre-orders are welcome! Leave questions in the comments and THANK YOU for helping me celebrate THE LOVELY AND THE LOST!